Great job very pleased with the service and very professional. I would recommend to all of my friends. thank you. Very professional I would recommend all of my friends. Professional service! The team was on and off my property in no time. I checked their work and my yard is free of dog turds! So happy to have these guys! 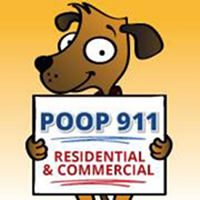 THANK YOU POO911! I was tired of walking through landmines, I had a poo emergency and Poo 911 handled every loaf very professionally! Would greatly recommend to anyone with the same issue! Thank you! !